Is there a special wall meant to shine and tell a story in the home you're decorating? 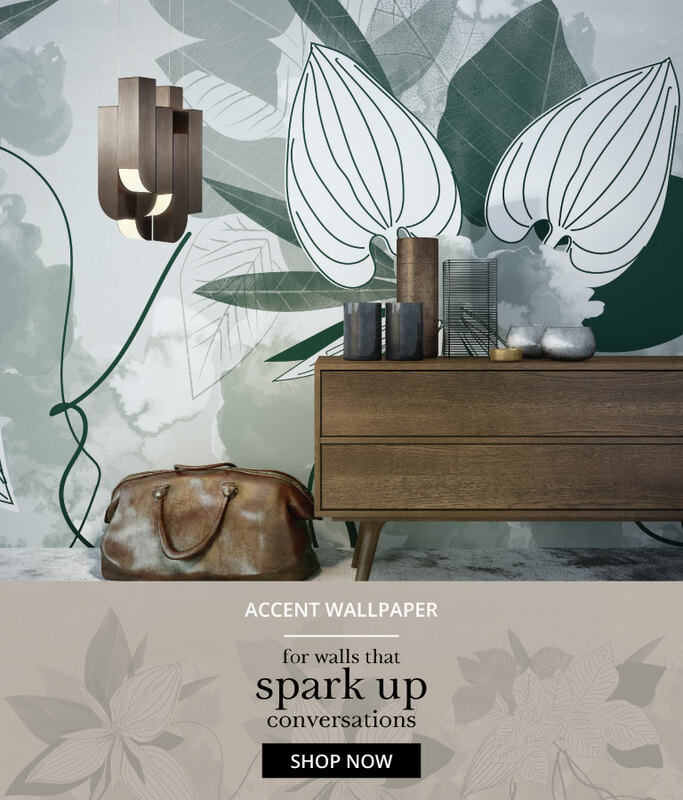 An Accent Wallpaper will do much more than just cover a wall with a repetitive pattern: it will liven it up and add personality to the entire space. Find a design that would best fit your project, take the measurements and admire the result. 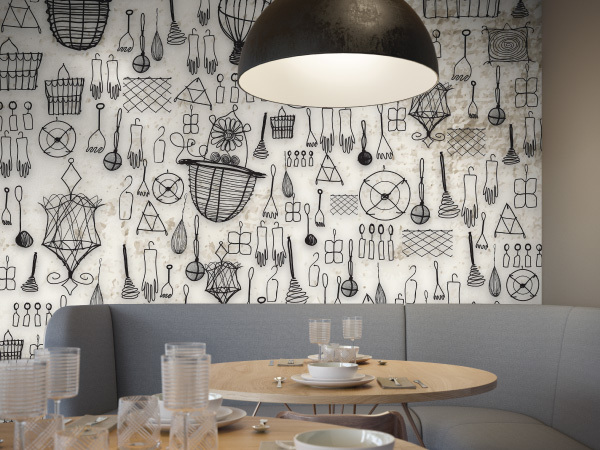 A restaurant that charms you with a wow-worthy central wall, a commercial store with an amazing fusion of products and decor, a working space with bold imagery or a hotel with a scenic reception - all are evidence of the virtually unlimited possibilities to enliven a place with an accent wall. 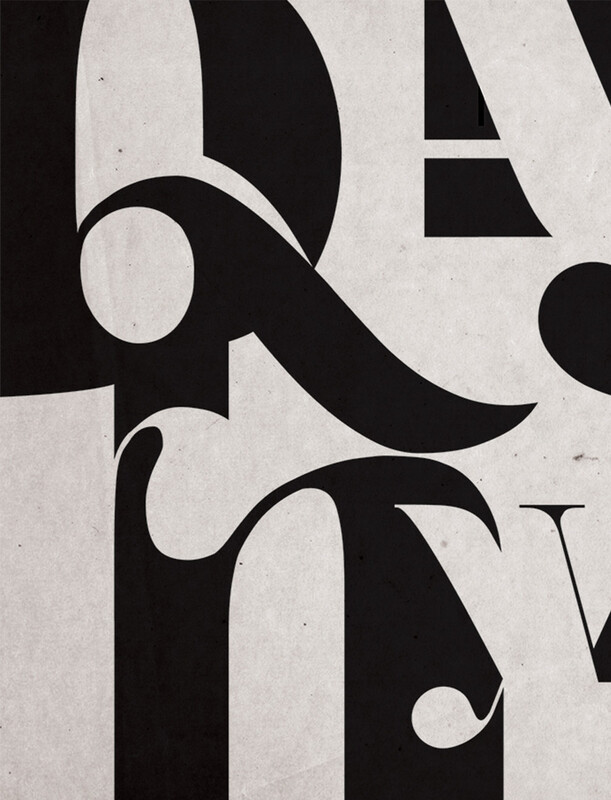 Find the wallpaper that will fire up your imagination. 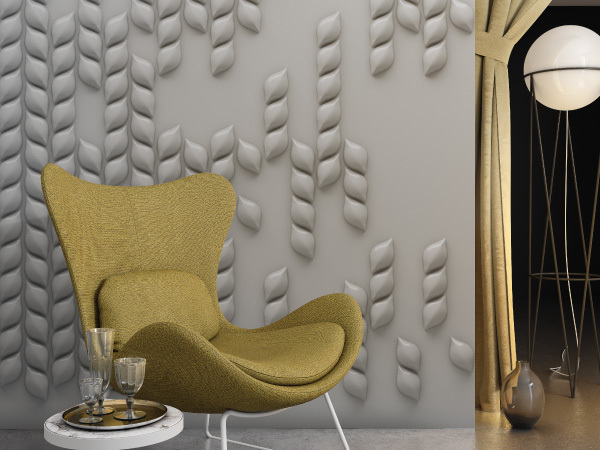 Choose your favorite item from our wallpaper murals collection, created with love and passion by our in-house design team. Carefully measure both the height and the width of your wall, and enter the measurements into our online calculator. Relax. We will take great care to produce the wallpaper mural you selected to your exact specifications and deliver it straight to your door. HOW DO WE ACCENT YOUR INTERIOR? We are here to give you some exciting answers to the toughest questions you might have. "What should I put on THIS wall?" is surely one of them. 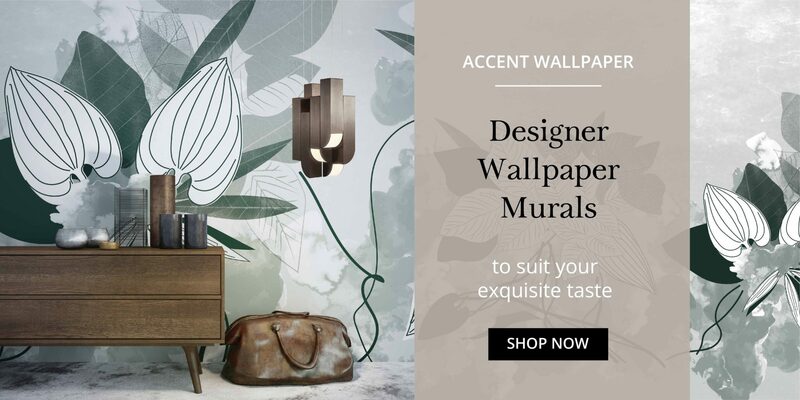 If you are looking for something more than just covering up THAT wall, feel free to choose that unique image from our Accent Wallpaper collection that will make all the difference. Our range is meant to put the finest art creations on your wall and tell a story that is entirely bespoke. UV-printed on the best available materials, they will stand the test of time and leave a lasting memory of the best choices of your life! We have the ideas ready! Subscribe now to get monthly updates of the latest news, features, trends, and more. Our support team will happily assist you! Copyright @ Xpect.ro. All rights reserved.